While much of the city is being bought up and demolished or redeveloped at an increasingly rapid pace, there are still plenty of buildings in the Chicagoland area that have fallen by the wayside. 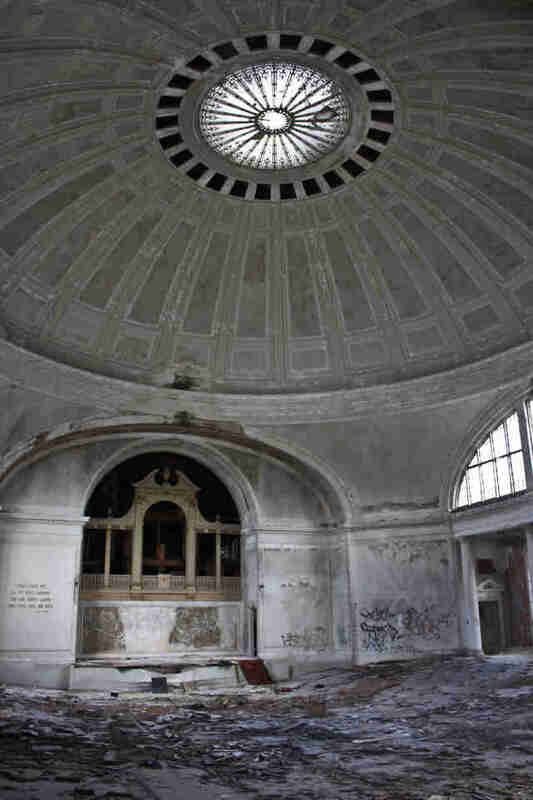 If you've ever found yourself asking, “I wonder what the inside of that incredibly creepy abandoned church looks like?” here's your opportunity to take a peek inside of some of the craziest abandoned places around the city without risking bodily harm or encountering ghosts. 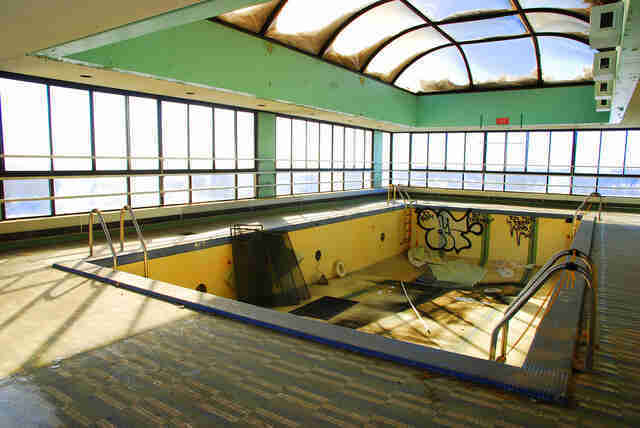 While Edgewater Medical Center was the birthplace of both Hillary Clinton and John Wayne Gacy, the facility became most well-known for some nefarious deeds. Originally built in 1929 by Dr. Maurice Mazel, he was so invested in the hospital that he personally oversaw every operation until his death in 1980. In 1989, the hospital was sold to businessman Peter Rogan, who engaged in a shocking array of corrupt activities, including kickback schemes, insurance fraud, and unnecessary surgeries that took the lives of many patients. The hospital closed in 2001, and Peter Rogan finally faced charges in 2015. While the property has been sold and plans are underway to turn the hospital into a 141-unit apartment building, things are at a standstill while developers work to clear the building of both asbestos and rats. Built in 1903 and designed by architect Henry J. Schlacks, St. Boniface Church was once home to a large German congregation. Unfortunately, the archdiocese officially closed the church in 1990, and Chicago preservationists have been fighting tooth and nail to preserve it ever since. Despite being abandoned for 26 years, the interior of this Romanesque Revival masterpiece is still jaw-dropping. 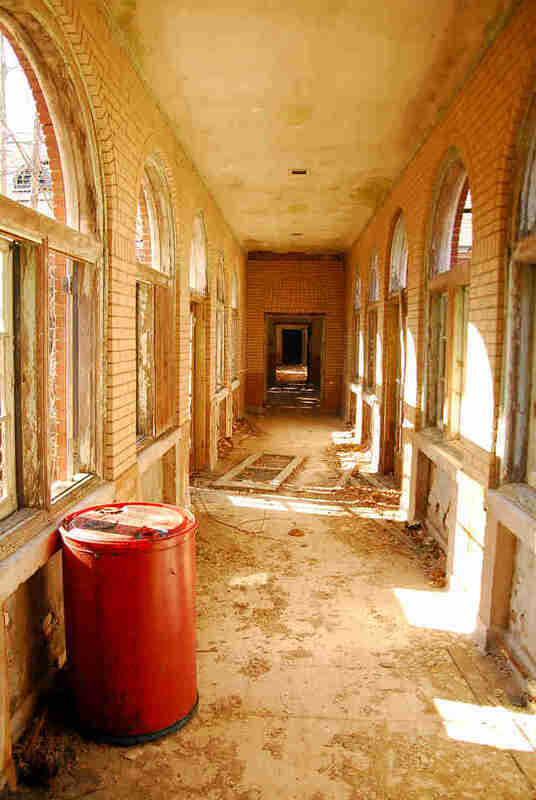 While we can't confirm whether or not it lives up to its reputation as one of the most haunted places in America, we can confirm that appearance-wise, this former psychiatric hospital near Kankakee -- which closed in 1985 -- is the stuff nightmares are made of. Allegedly, the human experimentation that took place at Manteno was so horrendous, that in 1941 alone, 462 patients died. 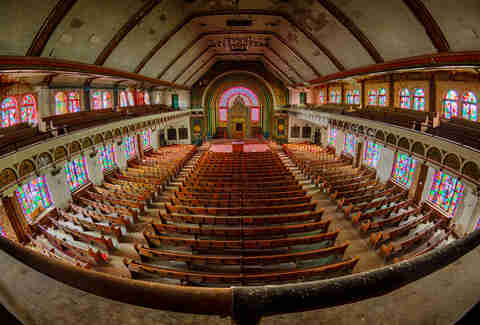 Like many old religious institutions in the city, a mixture of changing neighborhood demographics and an aging congregation resulted in the closure of the historic Agudas Achim Synagogue in 2008. 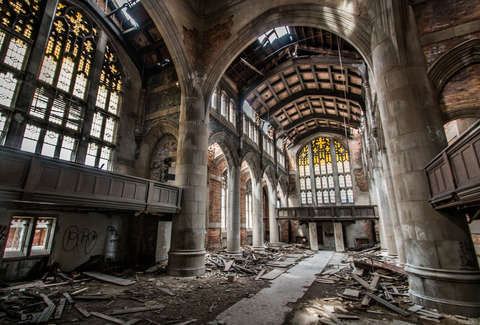 Despite the fact that it has fallen into a state of disrepair and has become a target for vandals, the architecture remains so impressive that it became a popular stop on the Chicago Architecture Foundation's Open House Chicago in 2013. 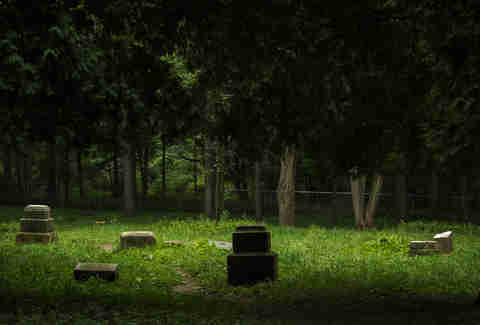 The long-abandoned south suburban cemetery grounds have earthed reports of creepy apparitions and other paranormal activity to accompany it's pretty creepy history. During the Prohibition era, the mob allegedly used the cemetery as a “dumping ground.” After the cemetery was abandoned and fell into disrepair, it is rumored to have become a hotspot for satanic rituals, some of which involved the removal of bodies. 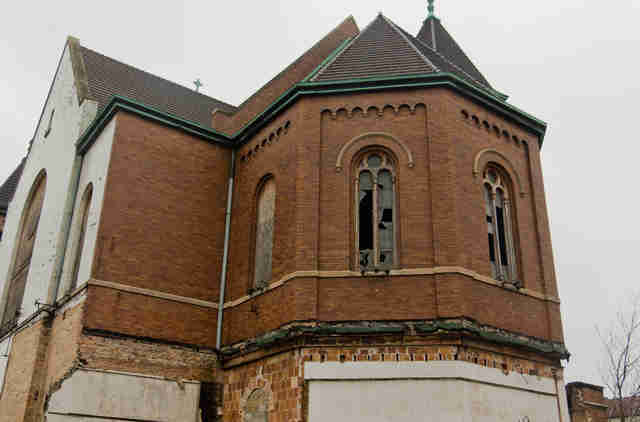 This 100-year-old church seems to bring bad luck to anyone who attempts to purchase it. 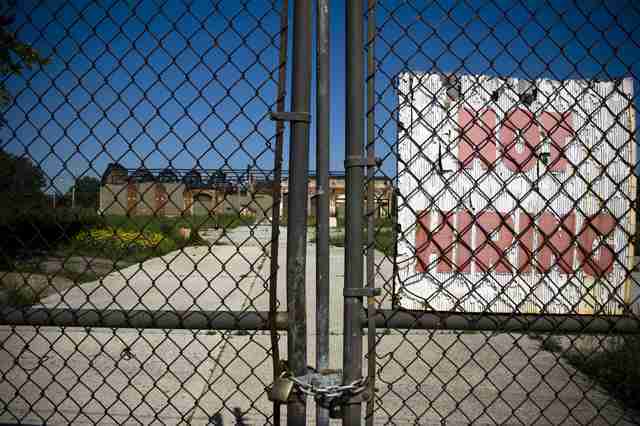 Since the '90s, it has gone through several rounds of failed development plans thanks to zoning issues, disagreements with neighborhood groups, and a variety of other financial and legal issues. In 2015, St. Stephen's was purchased by yet another developer, who hasn't disclosed plans for the 15,000sqft church. Standing inside Union Station, you'd never realize that a whopping 700,000sqft of the monstrous building is completely vacant. The station was formerly a massive transportation hub for the US with a wide variety of accommodations including luxurious lounges, cafes, and other amenities. However, the creation of highways and increase in air travel after WWII led to a massive decline in rail travel, resulting in the eventual abandonment of much of the building. 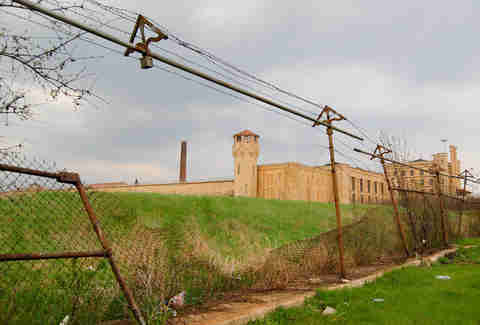 Joliet Correctional Center may have shut its doors in 2002, but the facility -- which is commonly referred to as “Joliet Prison” -- has remained well-known for a few reasons. Not only was prison used as a filming location for a wide array of TV shows and films, including Prison Break, but it's also been the temporary home of many fictional characters, including one of our favorites, "Joliet" Jake Blues -- arguably the better half of the Blues Brothers. What the Hell Are These Giant Construction Projects Around Chicago? Back when the fifteen story grain silos were first built, they would have been the tallest structures in the city. In fact, if you've ever wondered what the heck Carl Sandburg was talking about when he referred to Chicago as “stacker of wheat,” there's your answer. 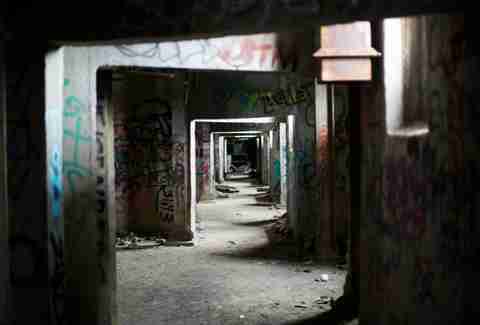 After an explosion rendered them useless in 1977, the Damen Silos became a hotspot for countless graffiti artists, curious kids, and even a college dropout who decided to move into the silos so he could see what life would be like an a post-apocalyptic society. In 2014, the Damen Silos even got their very own 15 minutes of fame after portions were blown up during the filming of Transformers: Age of Extinction. Thanks to George Pullman's invention of the luxurious sleeper car, the Pullman Company quickly became one of the largest and most successful companies in the US in the late 1800s. In the 1880s, Mr. Pullman came up with the brilliant idea of creating a “company town” for his employees. Sounds admirable, right? Unfortunately, Pullman used his town as an opportunity to fleece his working class employees, charging them inflated prices in every town's store and reducing their wages while deducting the same rent prices from their check, leaving many employees completely penniless. While Pullman's company town has since been incorporated as a Chicago neighborhood, the company itself dissolved in 1969 and some of the buildings still remain abandoned, including the historic Administration Building and Clock Tower. In a city that's unfortunately chock-full of abandoned buildings, Gary’s United Methodist Church is most iconic for the simple fact that its Gothic architecture is both stunning and incredibly eerie. 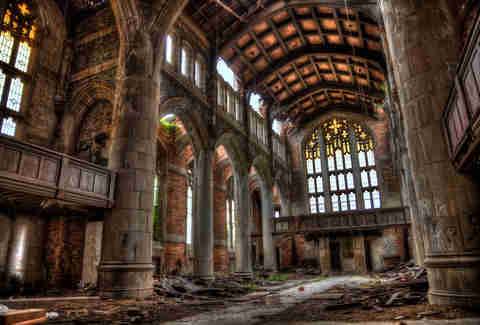 Although it's been abandoned for roughly 40 years, the church has somehow escaped demolition. In 2005, Gary’s city planning director proposed a plan to rehab the space, financed primarily by the sale of limestone and decorative fixtures of one of the buildings, which was set to be demolished. 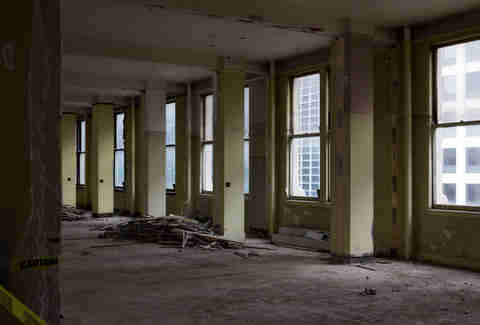 Unfortunately, by the time city workers got around to stripping the building, looters had beat them to it. Lisa Chatroop fully accepts that she is far too klutzy to explore any of these buildings herself. Ask her all about how she got a rusty nail in her foot on Twitter: @Chicagoista or DailyUrbanista.com.